Welcome to Kisnard Online’s FAQ page! Below are the answers to the most commonly asked questions. Please visit the forums or submit a ‘Support Ticket’ if you have other questions that are not answered here. This page will be updated with the most commonly asked questions. What language is Kisnard Online written in? When will Kisnard Online be out of ALPHA/BETA testing? What are the system requirements to play Kisnard Online? How do I setup Avast antivirus to whitelist the game? How do I setup Norton antivirus to whitelist the game? Is the game free of Viruses/Trojans/Malware? How do I run the game on Windows/MAC/Linux? Troubleshooting: Game won’t start/is crashing. What do I do? How much money does it cost to play Kisnard Online? What is the difference between gold and diamonds? What can you buy in-game with diamonds? Is Kisnard Online a child friendly game? What language(s) can the game be played in? Kisnard Online is a free to play, 2D-birds eye view, fantasy, and medieval MMORPG. The game is inspired by Dransik (Classic) – my childhood game of choice. Kisnard Online is in active development by www.JayAvon.com. Kisnard Online is written in Java(client/server) with a MySQL database and a PHP website. Please check the news page for the latest on release dates and other information. 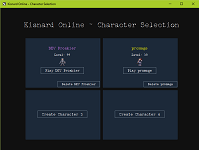 Kisnard Online can be played from any operating system that has Java 1.7+ installed, at least 800×600 screen resolution, and 1GB of RAM. Most computers should have absolutely no issue running the game. To run the game client you will need the Java JRE which can be downloaded from Oracle’s website here. Under “Exclusions” you can set whatever folder or .exe you dont want it to scan. Just click ADD and locate folder or file. Settings –> General –> Silent Mode Settings –> User Specified Programs –> Configure After clicking on the ADD button, you can add your game and the location of the game’s exe. By using this setting, you are assuring that Norton will not interrupt you while playing. Is the game client free of Viruses/Trojans/Malware? “I am a firm believer in leaving your computer exactly the way it was before you download Kisnard Online, if you so choose to remove it”. On the Download page there are instructions and steps for running the game on the various operating systems. If you are having issues getting the game to start or the client is crashing the best place to look is the ‘KisnardOnline/logs’ folder. If there is an error message, you can find it in the latest *.txt file. The log filenames are in the following format MM-DD-YYYY_HH.MM.SS_clientLog.txt. If running an unsupported version of java you will see on the Terminal or for Windows(in the log file) a line that says “Exception in thread “main” java.lang.UnsupportedClassVersionError: com/jayavon/game/client/KisnardOnline : Unsupported major.minor version 51.0…”. As per the minimum requirements, Java version 1.7+ is required to run the game. To confirm your version of java you may run the “java -version” command(without the quotes) in cmd prompt or the Terminal. Please see question #5 for more details. If you are getting a message about access being denied there are a few steps you can try. Move the installation folder (KisnardOnline folder) to somewhere on your PC that you have rights to (e.g. C:/Users/your_user_name). If possible, try running the game with administrator permissions by right clicking on the KisnardOnline.exe file and selecting “Run as administrator”. 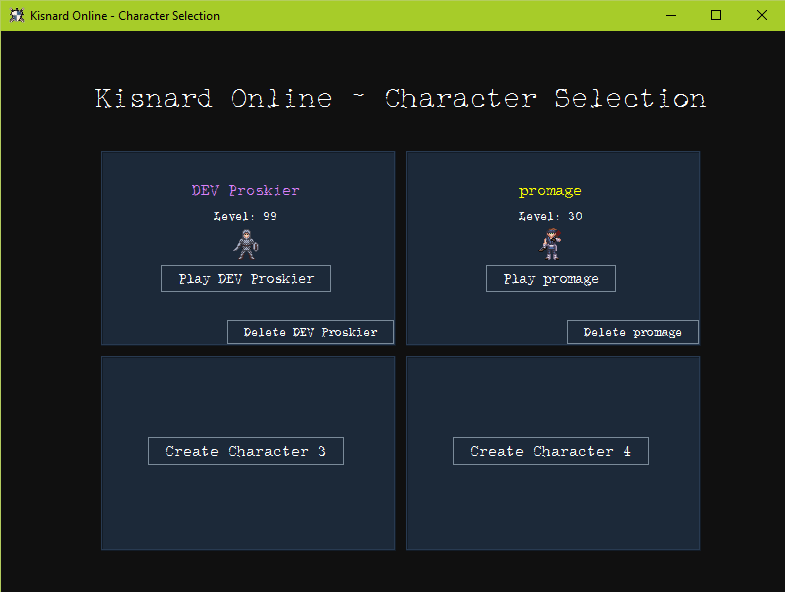 Kisnard Online can be played completely for free. Some special features and items will be available for purchase via diamonds(premium in-game currency). The premium currency helps to keep the game free and still help pay for server costs, website, etc. by those players who choose to contribute. Kisnard Online’s main in-game currency is gold. Gold is dropped from monsters, given during quests, given when selling items, and used by players as currency. Diamonds are another form of currenccy – a premium currency. They too can be achieved by the same means, but are much more rare. To make up for the low drops rates and help support the game, they can be purchased via real life money. Diamonds(and other lesser gems) can be used to purchase bank/weight expansions, guild leadership scrolls, and other special features/items. They will not be used to buy the best weapons/armors/items in the game. Kisnard Online will never be a pay-to-win game. As the ESRB warns, ‘online games have possible exposure to chat (text, audio, video) or other types of user-generated content’ that are out of the development team’s control. It is recommended to look at some screenshots and even play the game with your child to identify if it is appropriate for him or her. The main language for the game is English. The game can/will be translated into many other languages. The translations will be a player driven task as none of the current DEV/GM team are multi-lingual. Weapon/Armor/Item names, Guild names/descriptions, Object(signs, windows, etc.) names, and Monster/NPC names/descriptions will not be localized.